Home » News » Billing » Is Your Billing Practice Hurting Your Financial Health? Is Your Billing Practice Hurting Your Financial Health? There is a growing challenge facing healthcare organizations, small and medium-sized practices in particular. As a physician, you spent years of time and thousands of dollars to learn how to diagnose and treat conditions that are harmful to your patients. What you may not have learned is how to identify and treat conditions that are threatening your practice’s financial health. While patient care must certainly be the number one priority, healthcare practices must be paid in order to survive, let alone be profitable. Before you can treat a condition, you must first identify the symptoms and diagnose the problem. The same principle applies when it comes to evaluating your organization’s billing practices. 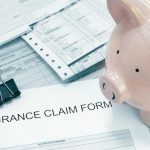 Your practice does not get paid until claims are billed, so naturally, the billing process is a significant component of practice management. But, did you know that in the United States the annual cost of time spent by physicians interacting with insurance companies equates to an average of $27 billion? On top of that, clerical staff spends an estimated 44 weeks per year on insurance claims. These are important factors to think about when it comes to the financial health of your practice. How prepared are you to handle changes? We encourage you to use this simple table to help you quantify this your estimated annual billing costs–an exercise that should be performed annually. Asking yourself the three questions above can help you identify the areas you should focus on in order to optimize your billing practices. There are also several medical billing benchmarks that you can use to gain an understanding of how your medical billing is measuring up. Are claims not being billed out quickly enough? How long does your staff wait to follow up on an unpaid claim? What is your denial rate? Prioritize what will have the greatest return on investment to determine the best course of treatment. The best medicine to treat billing ailments is technology. It can lead to faster collections, less delinquent accounts and significant cost savings. Streamlining this process and automating functions where possible, will allow you as a physician to spend more time with patients. If this evaluation process seems daunting to you, Applied Medical Systems can help. We have more than 30 years of experience serving healthcare practices. Learn more about our solutions and services, and contact us for a free quote today.